Athens Pizza is a casual restaurant with several locations in the city. The menu consists of pizza, of course, and some Greek selections. Don’t expect fancy Greek dishes here. This is the perfect spot for a quick lunch, or an inexpensive dinner out with friends. Out of all the restaurants in Panama, I always find myself coming back to Athens Pizza. They use fresh, good quality ingredients. The food is simple, straight forward, and delicious. Your best bets are their Greek specialties: Pita tzatziki, Ladopsomo, Pita Pantufla, and their specialty pizzas. What I love most is that their dishes include delicious Mediterranean ingredients: different types of olives, Greek cheeses, oregano, roasted proteins, Greek yogurt, and excellent Greek olive oil (which they also have for sale). 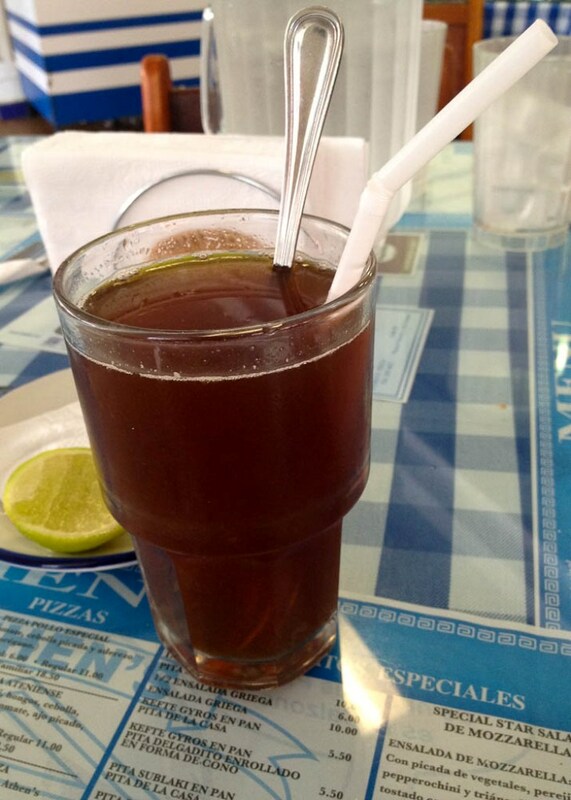 Spiced Iced Tea–Unsweetened black tea steeped with star anise, served with fresh lemons on the side. Make sure to add plenty of lemon juice. Literally, not everyone’s cup of tea. I love the slight bitterness and spice notes. Ladopsomo–Traditionally, ladopsomo is a fried bread. 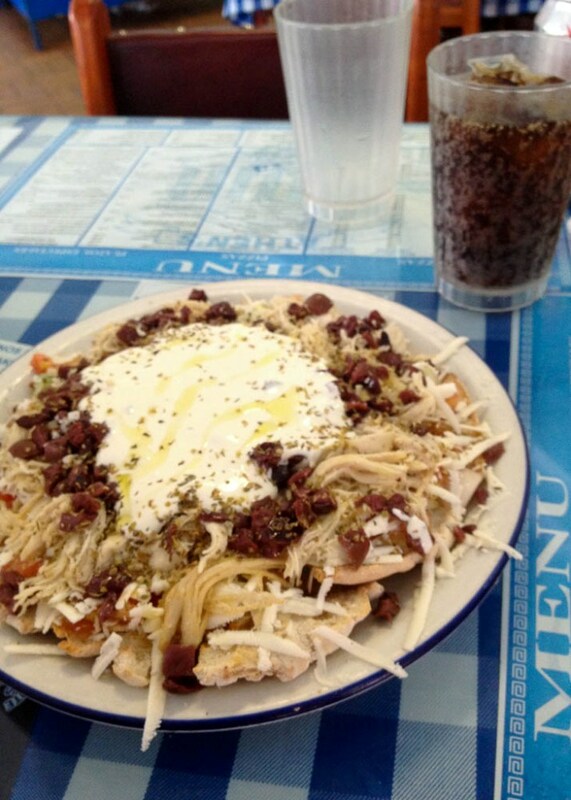 Here it is toasted pita bread topped with tomatoes, grated cheese, shredded chicken, kalamata olives, and tzatziki. 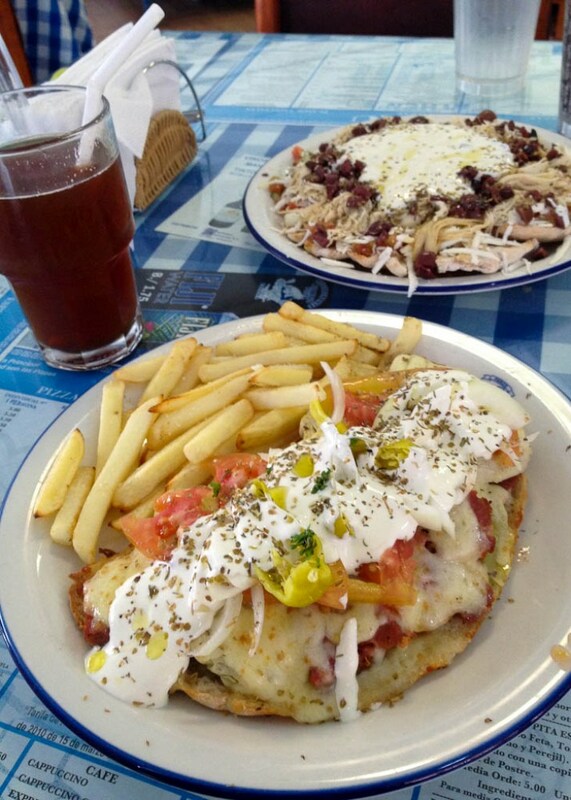 Pita Pantufla–Pita bread topped with tomatoes, melted cheese, artichokes, chicken, oregano, olive oil, peperoncini, and tzatziki. 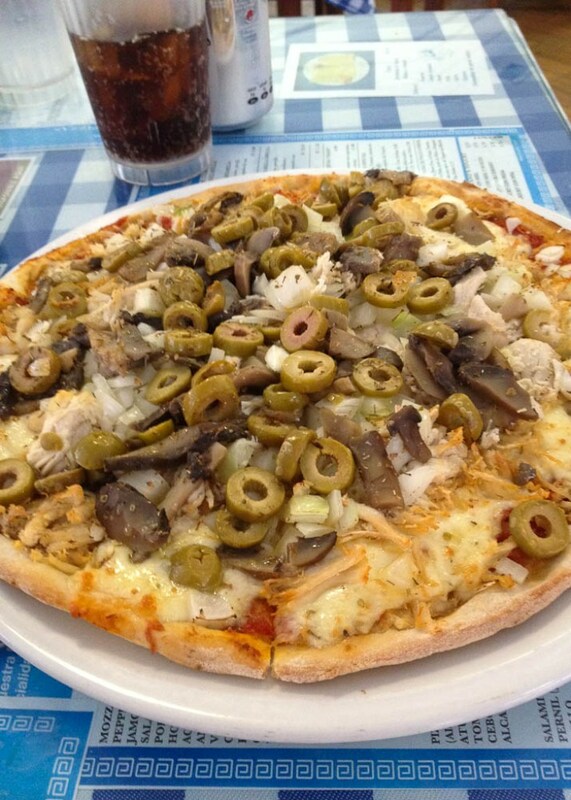 Pizza de Pollo Especial–Chicken, cheese, onions, mushrooms, green olives, olive oil, and oregano. 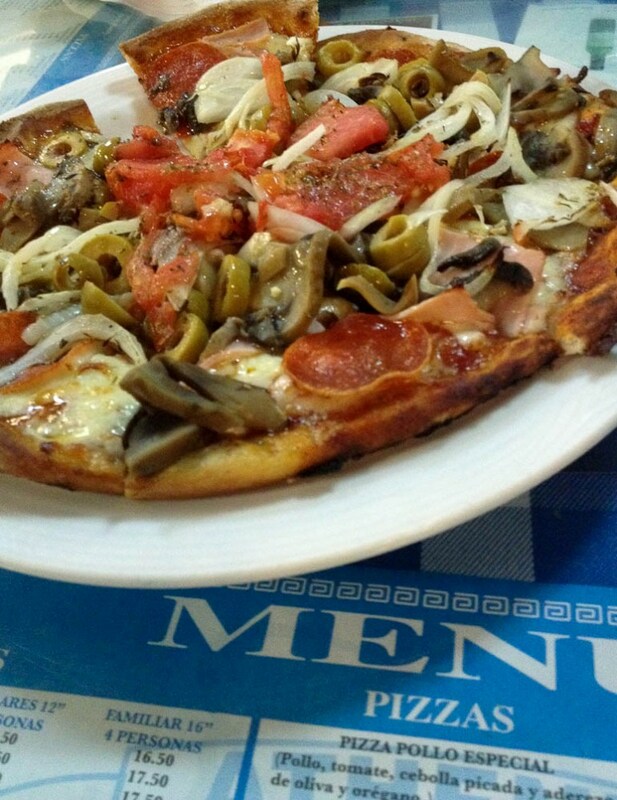 Pizza Ateniense–Ham, pepperoni, mushrooms, green olives, onions, tomato, garlic, anchovies, oregano, and olive oil. that looks so much better than my pizza from Cosi. and fries!? can I teleport some of that food my way? I wish that were possible! !